August is always a quieter month for estate agents, with potential buyers traditionally taking a break from house-hunting, however, this year’s summer season seems to be slower than usual, which some analysts suggest shows more home owners have decided to put off moving house until the post-Brexit landscape is a clearer. Property asking prices have also fallen in the past couple of months – with national agent, Rightmove, reporting a 1.2% fall during July and early August, on top of a 0.9% decline the previous month. 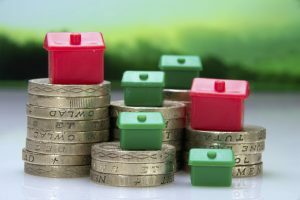 With uncertainty over the UK economy prompting a fall in the base lending rate it has proved an unsettling period for families who may have been considering putting their homes on the market prior to the referendum. The silver lining to this uncertainty is undoubtedly the remortgage and home improvement alternative to moving home – with some ultra-low 2-year mortgage products being made available by lenders hoping to tempt families who may wish to stay put for the short term, and potentially reduce their monthly outgoings while they do so. Here at the Financial Planning Group we are also able to secure a mortgage deal six months before your current deal ends. By having access to the whole lending market, rather than being tied to an individual lender’s products, allows our clients greater flexibility and incredible choice – they are often amazed that, in many cases, we are able to arrange a new, lower rate deal, without them having to go through the lengthy re-application process – which can save a lot of time and administration.